Chelsea -- the only child of the former US president and the US secretary of state -- wed Marc Mezvinsky at Astor Courts, an historic 50-acre (20-hectare) estate on the Hudson River, about 100 miles (160 km) north of New York City. 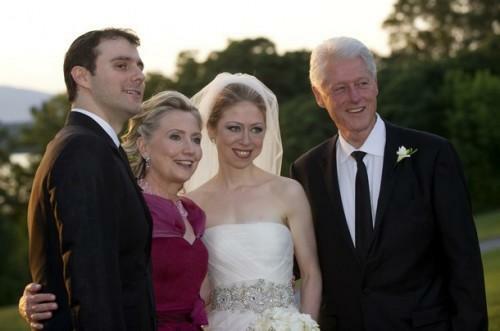 Chelsea — the daughter of former U.S. President Bill Clinton and Secretary of State Hillary Clinton — married Marc Mezvinsky in an interfaith ceremony (He’s Jewish. She’s Methodist.) at the estate built by John Jacob Astor on the Hudson River in scenic Rhinebeck, about two hours north of New York City. The wedding site, a Beaux Arts riverside estate called Astor Courts, was sealed off from the general public. 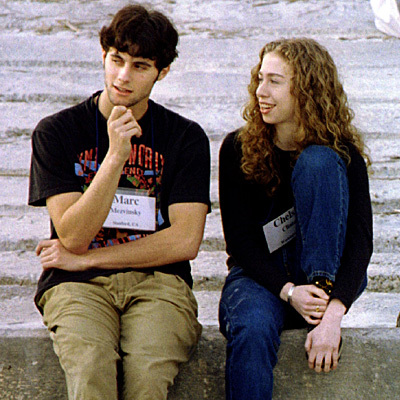 New York, Jul 31: The former first daughter Chelsea Clinton will be exchanging vows with her longtime boyfriend and investment banker Mark Mezvinsky in Rhinebeck, a New York village. The ceremony will be held on Saturday, Jul 31 evening at the grand Astor Courts, an estate on the scenic east bank of the Hudson River.